Truly amazing fit! Effortlessly chic for any occasion. Love the Colors it come in! Fits well, nice fabric, can dress up or down for a great look! I love this jumpsuit. I plan on wearing it to my wedding rehearsal with a pair of pointed toe sling backs. I feel casual, but classy at the same time. 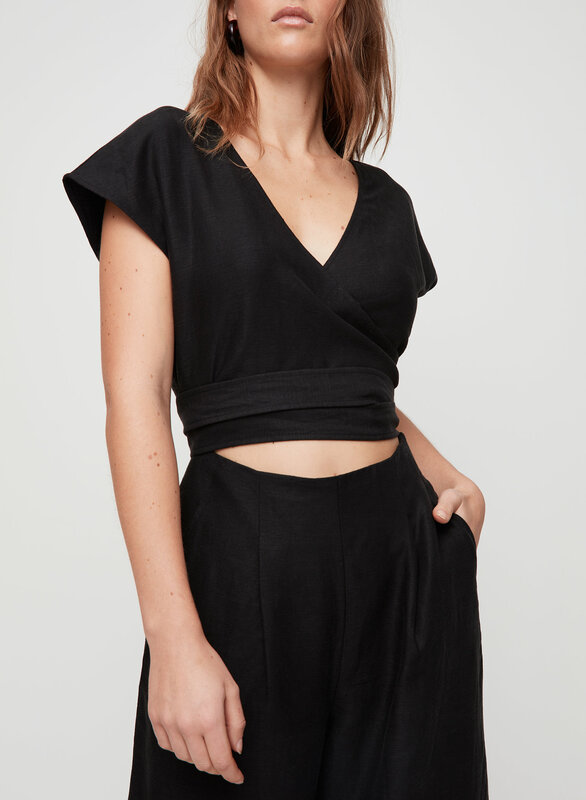 This jumpsuit is so nice and flattering! It fits me perfect and I have received a lot of compliments. The only downside is that itbwrinkles easily. 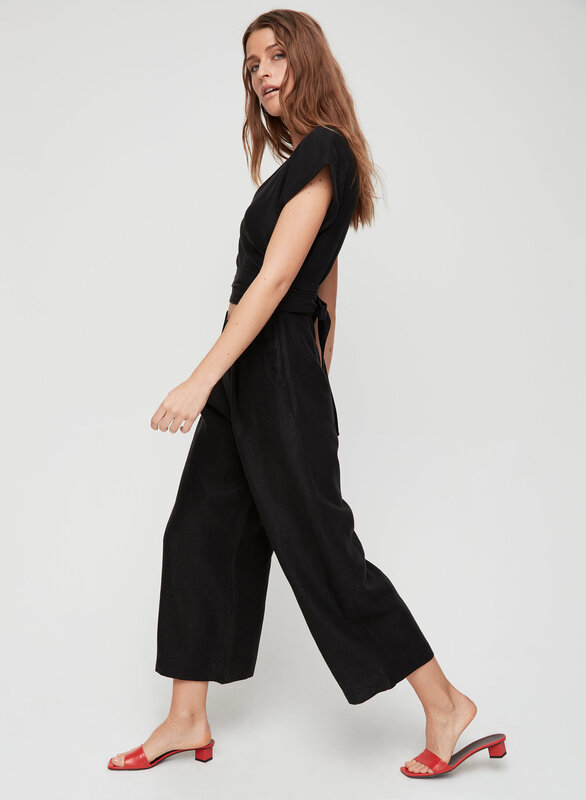 This jumpsuit is so flattering! Fits perfect! I wear a size 4, am 5’3 & 130 lbs for reference. 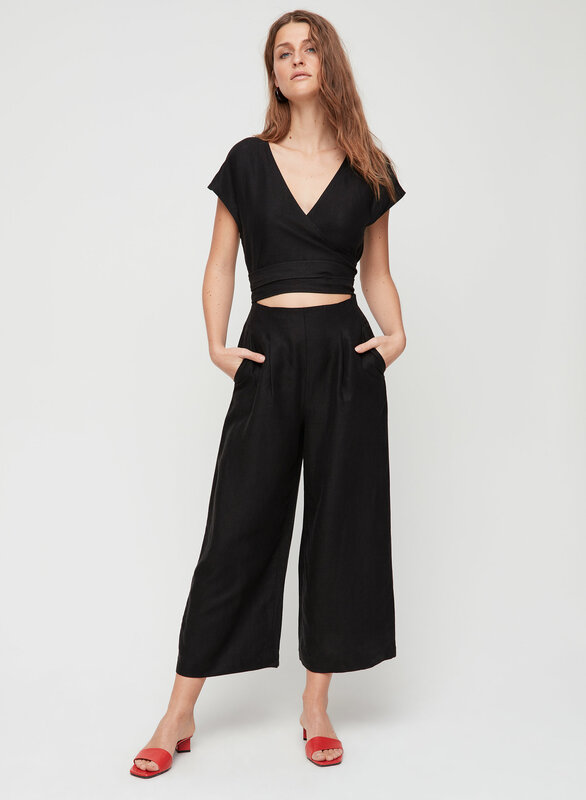 I’m sure that it would be even more of a cropped pant on someone who’s taller. 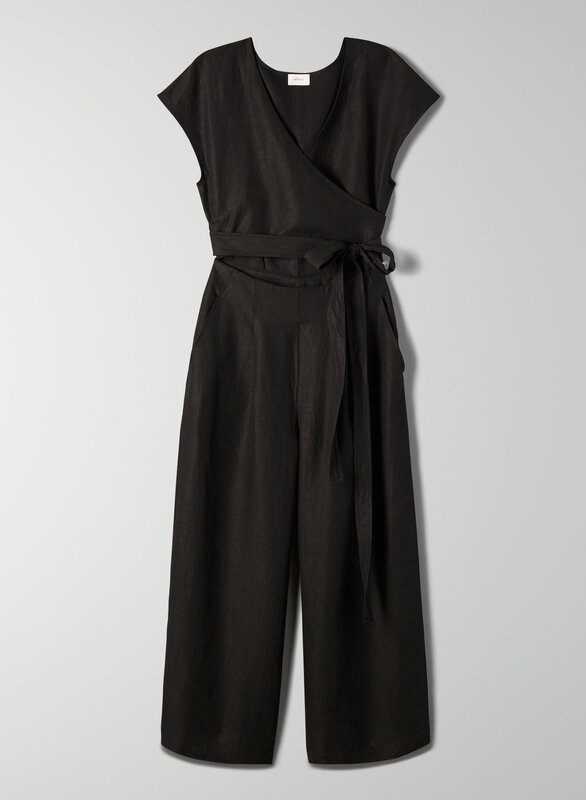 But either way, it’s such a beautifully draped jumpsuit! !